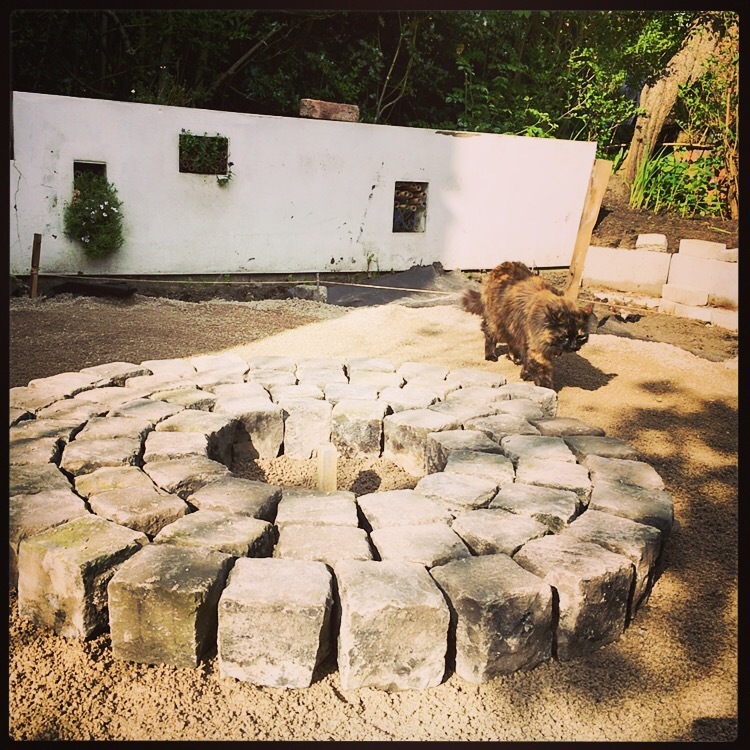 Do Up Diary: Going For It In The Garden! You know the script, you head out fully intending to buy a few extra bricks and come home with 8 tonnes of granite. Totally normal. When the sun shines up North, we all dash into into our gardens and get as much done as humanly possible, regardless of what other vital jobs need doing. Hay and sun, as the phrase goes. 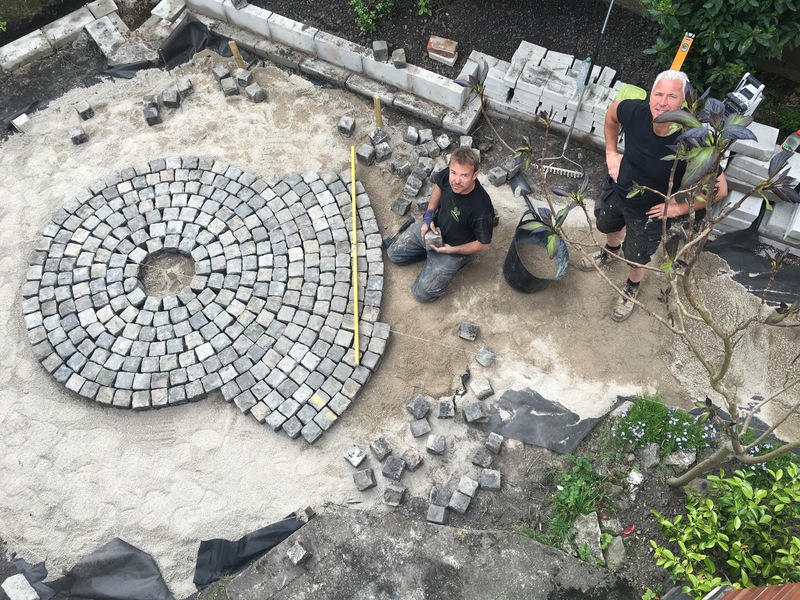 Thus having big plans for inside Moregeous Mansions this week but then seeing those spectacular hewn setts and blowing all the plans off the table! We’ve never enjoyed the full potential of this somewhat scratty front garden, which has been a shame as it get the most beautiful morning sunlight. Mr M and Builder Cat had a conference about my ideas and decided they were doable. Phwef. I want to use this space for breakfast in the morning on a nice day, for growing cut flowers in the beds and almost as an external office when interior and design clients visit, so it needs to be easily maintained and tidied. Pingback: Moregeous Mansions Catch Up | MOREGEOUS... Making Homes More Than Gorgeous!